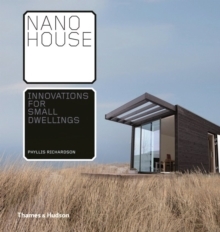 Houses in literature have captured readers' imaginations for centuries, from Gothic castles to Georgian stately homes, Bloomsbury townhouses and high-rise penthouses. 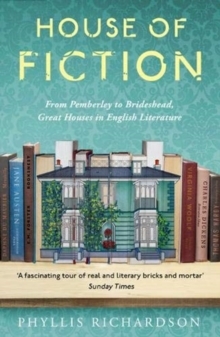 Step on to a tour of real and imagined houses that great English writers have used to reflect the themes of their novels... houses that became like characters themselves, embodiments of the social and historical currents of their time. Phyllis Richardson takes us on a journey through history to discover how authors' personal experiences in their homes helped to shape the imaginative dwellings that have become icons of English literature:Virginia Woolf's love of Talland House in Cornwall is palpable in To the Lighthouse, just as London's Bloomsbury is ever-present in Mrs Dalloway. E.M. Forster's childhood home at Rook's Nest mirrors the idyllic charm of Howards End. Evelyn Waugh plotted Charles Ryder's return to Brideshead while a guest at Madresfield. Jane Austen was no stranger to a manor house or a good ballroom. And Horace Walpole's `little Gothic castle' in Twickenham inspired him to write the first English Gothic novel, The Castle of Otranto. But the English country house, from the idyllic to the unloved, is also viewed through a modern lens - Kazuo Ishiguro's Darlington Hall, Ian McEwan's Tallis House, Alan Hollinghurts's Two Acres. 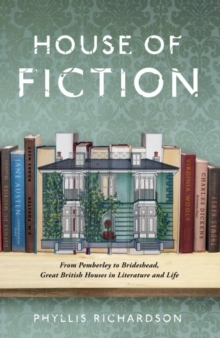 Using historic sources, authors' biographies, letters, news accounts, and the novels themselves, The House of Fiction presents some of the most influential houses in Britain through the stories they inspired, while offering candid glimpses of the writers who brought them to life.